ATP Flight School is proud to announce that the National Air Transportation Association (NATA) has awarded ATP's Director of Training, Ben Gabriel, with the Excellence in Pilot Training Award, for his continued dedication towards safe and professional flight training operations. In existence for over 70 years, NATA is a leading organization in the aviation industry, representing aviation service businesses such as fixed base operators, maintenance organizations, flight training, airline service companies, and aircraft management companies. With a mission to empower members to be safe and successful, NATA annually acknowledges those individuals and organizations who have demonstrated exemplary contributions to the general aviation community with the Industry Excellence Awards. Consisting of five distinct awards, the Industry Excellence Awards shine light on different sectors of the industry and bestow recognition to the effectual positive actions of certain aviation professionals. Of these awards is the Excellence in Pilot Training Award, presented to individuals who have shown outstanding contributions in safety, professionalism, leadership and excellence in the field of pilot training. This year, ATP Flight School's Director of Training, Ben Gabriel, was announced as the recipient of the prestigious NATA Excellence in Pilot Training Award — paying recognition to his unbridled commitment towards safe flight operations and cultivating an environment of professionalism. 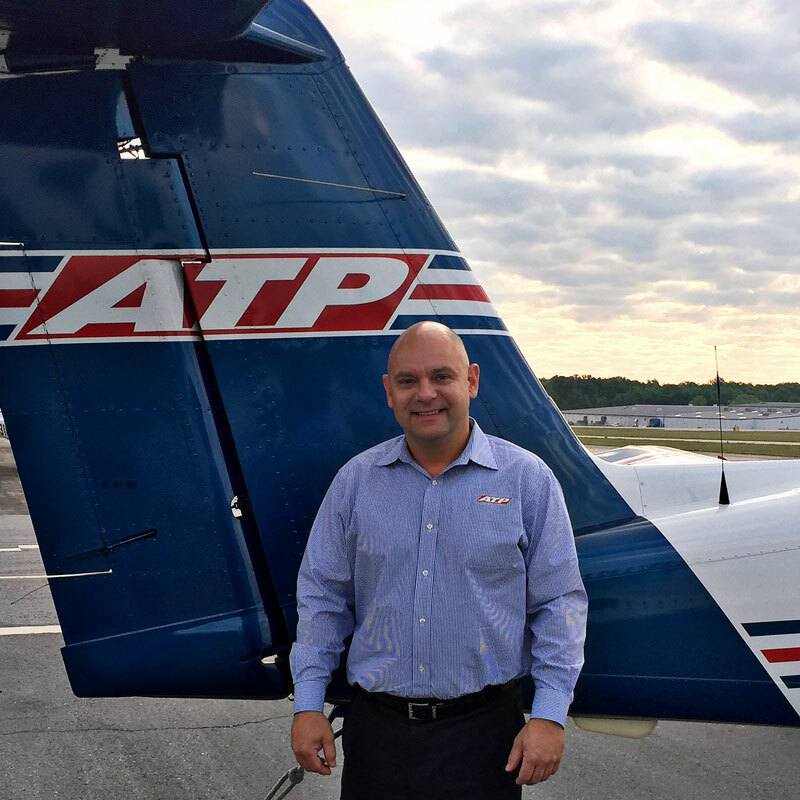 An Airline Transport Pilot and FAA Gold Seal flight instructor, Mr. Gabriel began his aviation journey in 1999, graduating ATP's Airline Career Pilot Program and continuing on to a career flying the Embraer ERJ-145 with Trans States Airlines. Returning to ATP with the mission of helping other aspiring pilots achieve their aviation career goals, Ben Gabriel now oversees, manages, and develops all ATP flight training programs, including the very program he graduated from over 15 years ago. "We are deeply honored and proud of Ben for not only receiving this award, but for his continued commitment to our instructors and students in providing them with a professional training environment and path to achieve their airline career goals," said ATP's Vice President, Jim Koziarski, of the announcement. "His leadership and dedication towards curating a culture of safety is unprecedented and has been a driving force in helping establish ATP as the leader in providing airline-oriented flight training." ATP is one of the world's largest flight training providers and as Director of Training, Ben Gabriel leads a training department of more than 230 flight instructors, who train nearly 600 students in over 260 aircraft nationwide. In 2015, this scale of operations led to 160,000 accident-free hours of training under Ben's direction, which culminated in the issuance of over 4,400 pilot certificates and ratings.